Python molurus is a large non-venomous python species found in many tropic and subtropic areas of Southern- and Souteast Asia. It is known by the common names Indian python, black-tailed python, and Indian rock python. 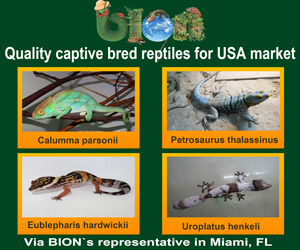 Two subspecies are currently recognized: the nominat subspecies (Python m. molurus) and the Burmese Python (Python m. bivittatus). The nominate subspecies mainly described here is limited to Southern Asia, is generally lighter colored than the Burmese Python and reaches usually 3 metres (9.8 ft). Indian python, black-tailed python, Indian rock python, light phase Asian rock python. Referred to as "Ajgar" in Hindi. The color pattern is whitish or yellowish with the blotched patterns varying from shades of tan to dark brown. This varies with terrain and habitat. Specimens from the hill forests of Western Ghats and Assam are darker, while those from the Deccan Plateau and East Coast are usually lighter. In Pakistan, Indian Pythons commonly reach a length of 2.4 - 3 metres. In India, the nominate subspecies grows to 3 metres (9.8 ft) on average  This value is supported by a study in Keoladeo National Park, where 1990 the biggest 25 % of the python population was 2.7 - 3.3 metres long. Only two specimen even measured nearly 3.6 metres (12 ft). Because of confusion with the Burmese Python, exaggerations and stretched skins in the past, the maximum length of this subspecies is hard to tell. The longest scientifically recorded specimen hailed from Pakistan and was 4.6 metres (15 ft) in length and weighing 52 kilograms (115 lb). The nominate subspecies is found in Pakistan, India, Assam, Sri Lanka, southern Nepal, Bhutan, Bangladesh and probably in the north of Myanmar. Occurs in a wide range of habitats, including grasslands, swamps, marshes, rocky foothills, woodlands, "open" jungle and river valleys. They depend on a permanent source of water. Sometimes they can be found in abandoned mammal burrows, hollow trees, dense water reeds and mangrove thickets. Lethargic and slow moving even in its native habitat, they exhibit little timidity and rarely try to escape even when attacked. Locomotion is usually rectilinear, with the body moving in a straight line. They are very good swimmers and are quite at home in water. They can be wholly submerged in water for many minutes if necessary, but usually prefer to remain near the bank. 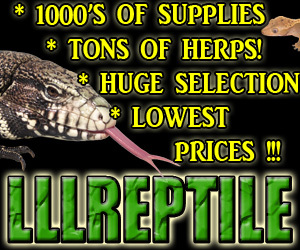 These snakes feed on mammals, birds and reptiles indiscriminately, but seem to prefer mammals. Roused to activity on sighting prey, the snake will advance with quivering tail and lunge with open mouth. Live prey is constricted and killed. One or two coils are used to hold it in a tight grip. The prey, unable to breathe, succumbs and is subsequently swallowed head first. After a heavy meal, they are disinclined to move. If forced to, hard parts of the meal may tear through the body. Therefore, if disturbed, some specimens will disgorge their meal in order to escape from potential predators. After a heavy meal, an individual may fast for weeks; the longest recorded duration being 2 years. The python can swallow prey bigger than its size because the jaw bones are not connected. Morever the prey cannot escape from its mouth because of unique arrangement of the teeth( which is reverse saw like). So far there have been no authentic cases of a human being eaten by this species. Oviparous,ji to 100 eggs are laid, protected and incubated by the female. Towards this end, it has been shown that they are capable of raising their body temperature above the ambient level through muscular contractions. The hatchlings are 45-60 cm (18-24 in) in length and grow quickly. These snakes have often been killed for their fine skin and are endangered. They are now partly protected by the Tamil Nadu Government. In Kerala and Tamil Nadu, the meat is eaten by locals as the fat is purported to have medicinal value. The Indian Python is classified as Lower Risk/Near Threatened on the IUCN Red List of Threatened Species (v2.3, 1996). This listing indicates that it may become threatened with extinction and is in need of frequent reassessment. In the literature, one other subspecies may be encountered: P. m. pimbura (Deraniyagala, 1945), which is found in Sri Lanka.